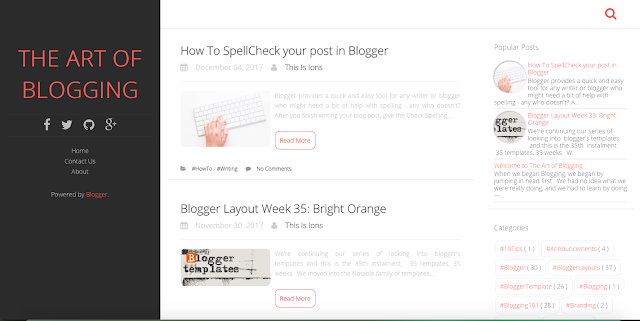 After we Nordic, a nice simple Blogger template, we took some time to think about it, and we decided: we need more features. Simple, but with some features. Is there anything out there? It's still minimalist, but we get pictures on posts back, which makes the site look a lot better. Rareti is free, and like all Blogger templates adapted from Wordpress has a few limitations to it. We DO get a sidebar and another column. It's SEO friendly and has social media icons right on the front page. I think I'm in love.